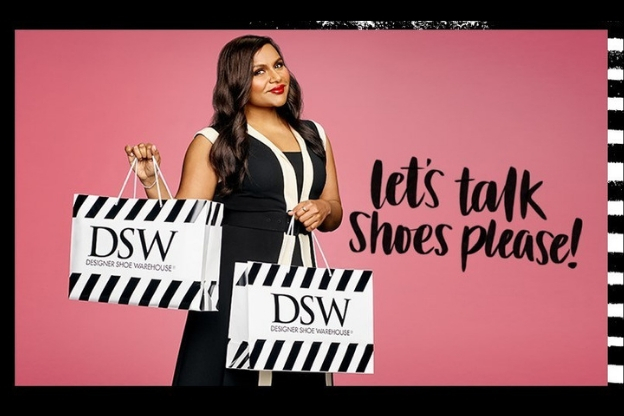 DSW Designer Shoe Warehouse, a branded footwear and accessories retailer, has partnered with actress, comedian, and writer Mindy Kaling. This fun new campaign illustrates the power of finding the right shoes for you. With 64% of DSW’s VIP loyalty members saying that the right pair makes them feel confident, it’s clear that shoes have a strong impact over how we feel. Kicking off today, the campaign features Kaling in 60 and 30-second spots directed by comedian Neal Brennan and showcases how DSW has the right shoes for every situation and mood. Additionally, Kaling stars in 15-second digital videos embodying DSW’s values including treating its 26MM VIP loyalty members like royalty. DSW committed to offering a diverse selection of brands such as Kelly & Katie, Steve Madden, Dr. Martens; and a plethora of style choices to satisfy the nuances and complexity of every woman. The new campaign will run now through 2020 across TV, digital, social, events, and Kaling’s social media channels.